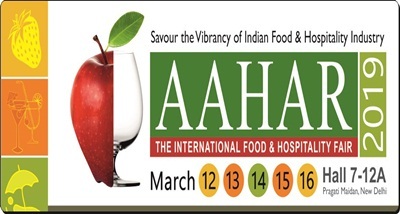 34th edition of Aahar – the International Food and Hospitality Fair commences in New Delhi. The 34th edition of Aahar – the International Food and Hospitality Fair commenced in New Delhi today. The five-day fair, organised by India Trade Promotion Organisation, ITPO, features wide range of food products, machinery, food and beverages equipment, hospitality and decor solutions, confectionery items from over 560 participants from India and foreign countries. The foreign participants in the fair are from countries including China, Germany, Hong Kong, Italy, Indonesia, Japan, Russia, Spain, USA and UK among others. Previous articleCongress party’s working Committee (CWC) meeting being held in Ahmedabad.